Santos engaged URS to prepare the Environmental Impact Statement (EIS) for development of coal seam gas fields near Roma in central Queensland. The scope of activities included roads and access tracks, fencing, well head equipment, plant and equipment storage facilities, gas compression stations, water storage facilities, workforce accommodation and administration buildings. Gas from the fields is transported to the coast at Gladstone where it is processed before being exported by ships. Corkery Consulting provided specialist services to prepare the Visual Assessment of the gas fields and pipeline as part of the EIS. 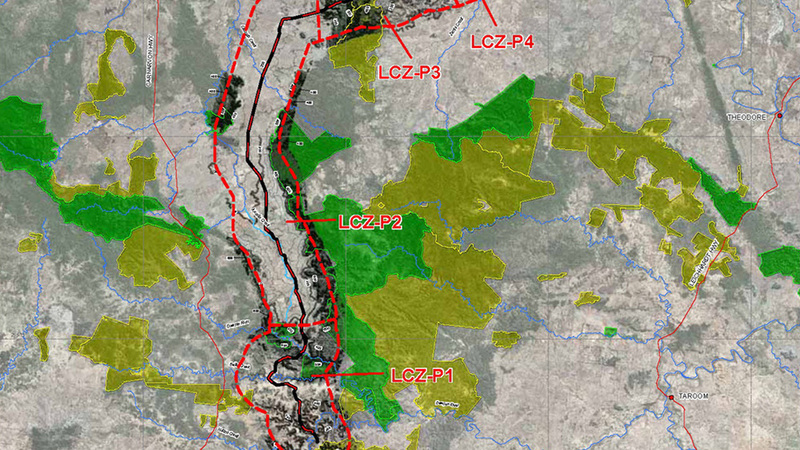 The existing landscape character was assessed to provide a baseline against which to assess the potential incremental impacts of the proposed CSG field. The visual assessment involved field inspections to assess, photograph and describe the existing landscape character in each of the major CSG fields at Roma, Fairview and Arcadia Valley. The site inspections also included a review of the visual aspects of existing CSG field operations that involve drilling exploration and production wells. roads and other publicly accessible locations within the CSG field study area. Results of the baseline landscape character assessment, combined with a review of proposed CSG field development activities. The assessment formed the basis for predicting potential visual impacts. LCZ was assessed and mitigation measures identified. Typical mitigation measures were identified to minimise the level of potential visual impact associated with the proposed CSG field and pipeline development. They included retention of vegetation as visual screens in some locations as well as installation of earth mounding and revegetation. Examples of the proposed works were illustrated with annotated photographs and described in the visual assessment report.